It was a real treat photographing these two. 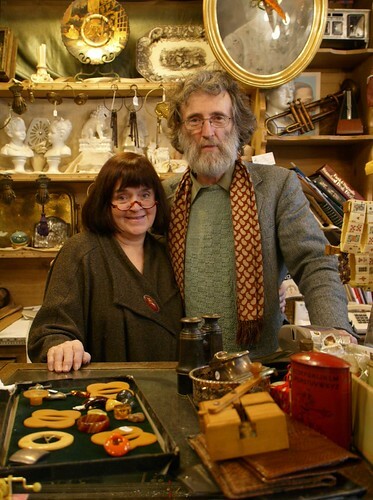 They fit perfectly into their shop, which was a quirky antique store filled to the brim with all sorts of little treasures, including the shelf of Bakelite seen here. Hi mazz - I know; I love photographing older folks, but they're hard to find around Seattle! Your site makes us want to go to Seattle! we linked to you.